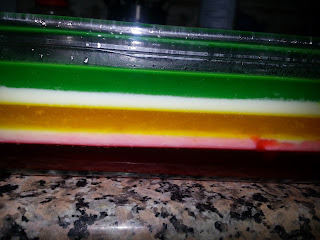 I was planning to make finger jello ever since I came across the recipe but never really went ahead and kept postponing. The day I finally decided to make happened to be a really wrong day as my baby fell sick and I had to give all my attention to her. Once you start making the finger jello you have to finish it and it takes quite some time. I went ahead and completed it. The results were pretty good for first time but could have been even better as it is very easy to make. Like I say there is always a next time.. 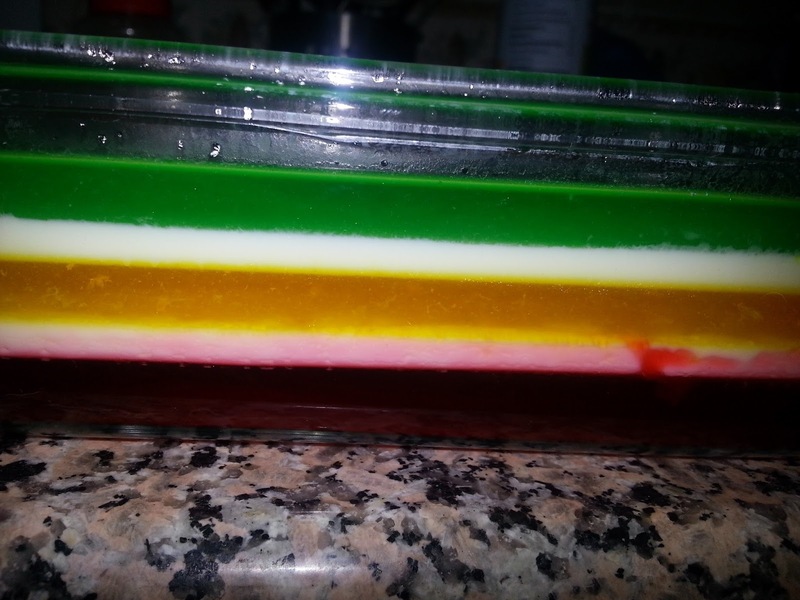 I made a 5 layer finger jello but you can start with 3 and make as many as you want. I also made only half the quantity the original recipe I followed called for. 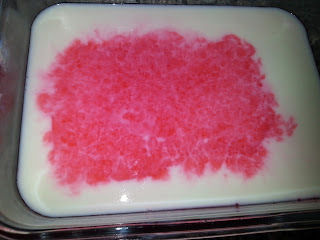 I used strawberry, pineapple and Lime flavor jello but you could use any color or flavor. 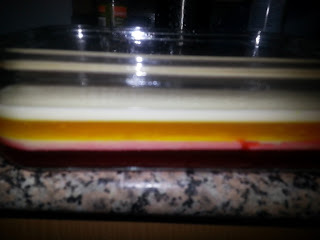 You can also make the layers as thin or as thick as you want. 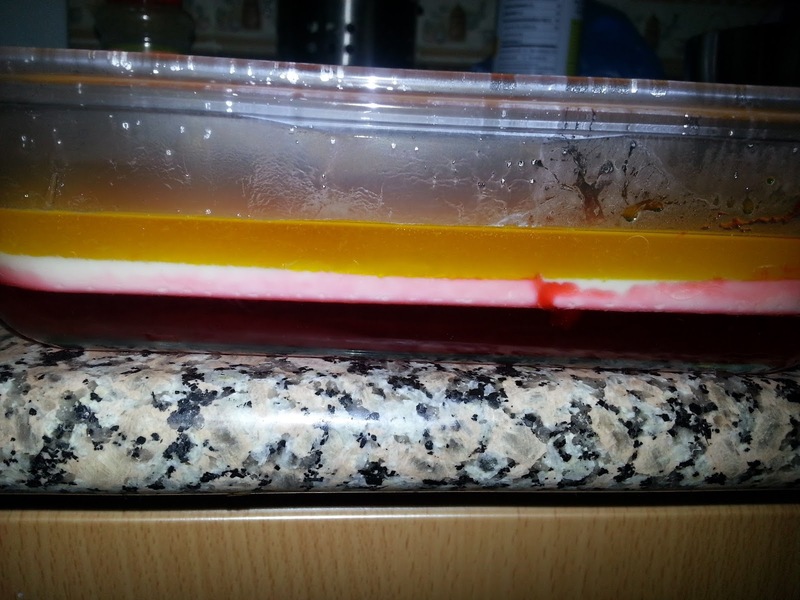 Before you start, make some space in the freezer and the fridge for the tray to sit. Keep boiling water handy. Keep spoons and bowls ready as you will need quite a few. 1. 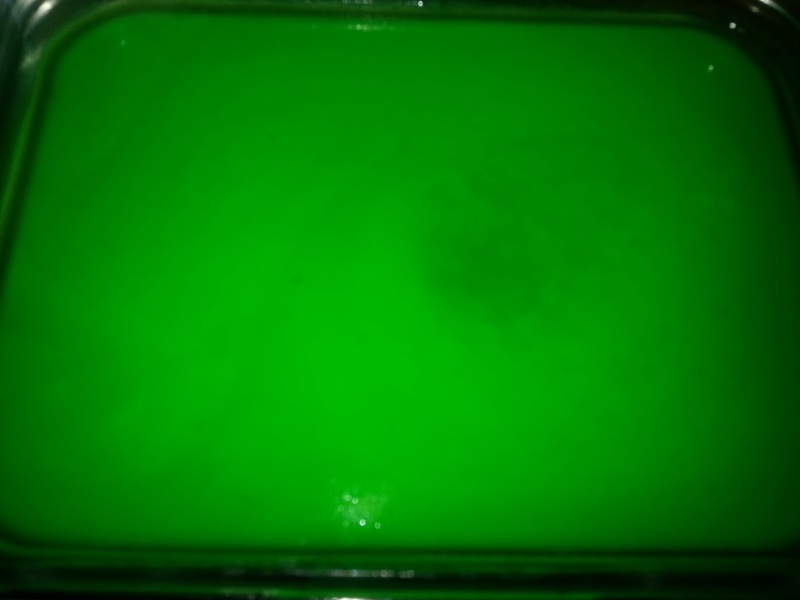 Grease or spray the tray that you will be using to make the finger jello. 2. First prepare the strawberry layer. In a bowl mix 1 1/4 teaspoons unflavored gelatin to 2 tablespoons of cold water. 3. 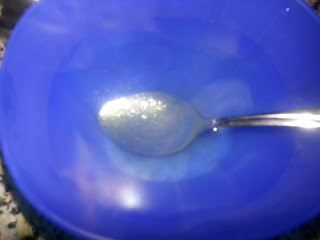 Add 1/2 cup boiling water to it and mix well. 4. 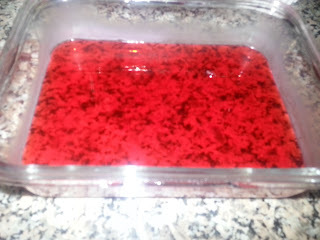 Add 3 tablespoons strawberry jello to it and mix well. 5. Let it cool down a bit and pour it in the tray. 6. Keep it in the fridge for 30 minutes or till set or in the freezer for 15 minutes or till firm and set. 7. While the first layer is setting. Prepare the white layer. 8. In a bowl mix 5 teaspoons of unflavored gelatin with 1/2 cup cold water. Mix well. 9. 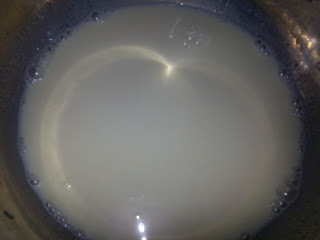 In another big bowl, pour the condensed milk and add 1 cup boiling water to it. Mix well. 10. 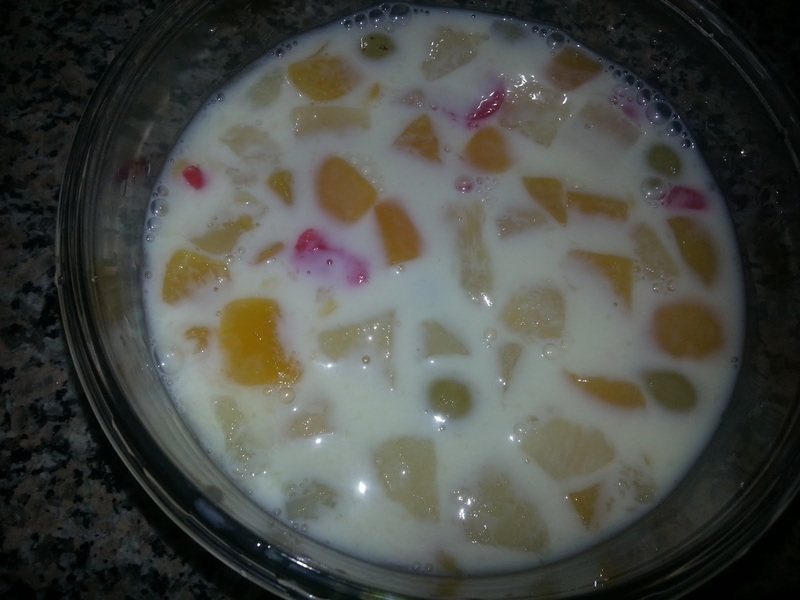 Add the gelatin to the condensed milk and mix well. 11. Add 1/2 cup boiling water to it and mix well. 12. Let this cool down a bit. 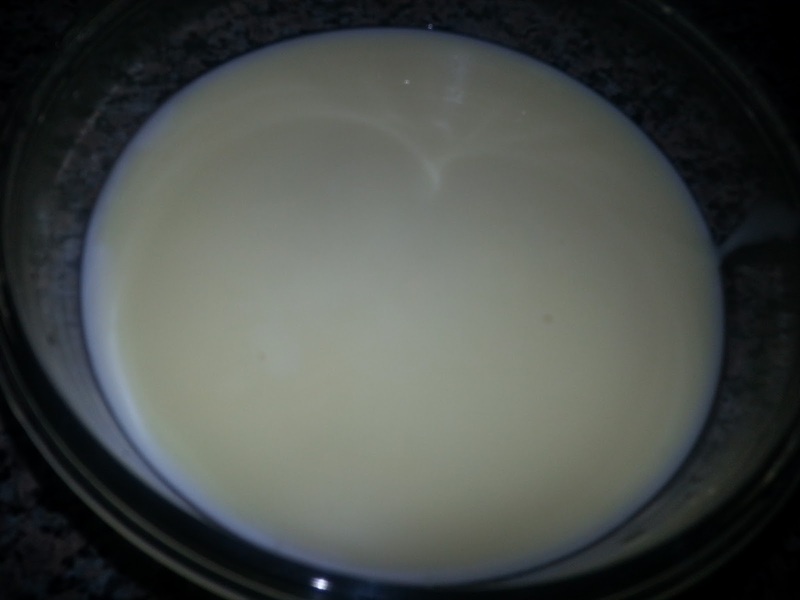 This condensed milk layer will be enough for about 5-7 white layers. 13. 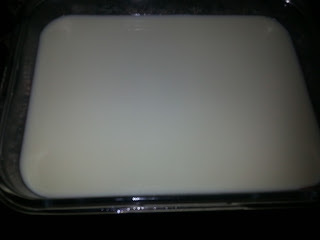 When the first layer has set and is firm, take it out and pour some of the prepared condensed milk layer on it. 15. 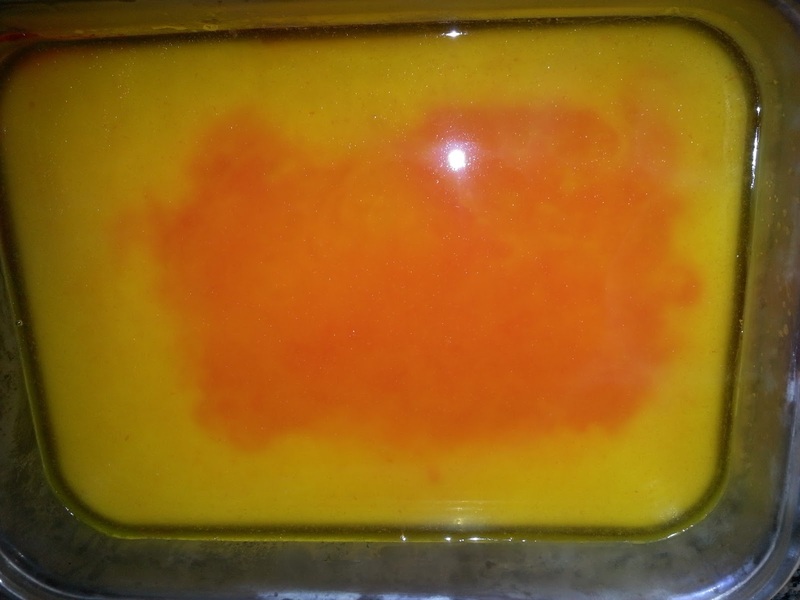 Place it back in the fridge or freezer to set and get firm. 16. 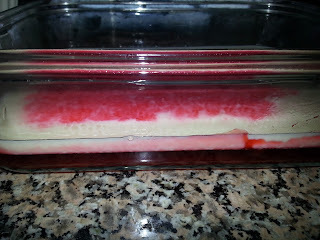 Now prepare the next layer following steps 2-5 using pineapple flavor gelatin instead of strawberry. You can also make same flavor and color. 17. Pour it on top of the white creamy layer and put it back in fridge or freezer to set. 18. 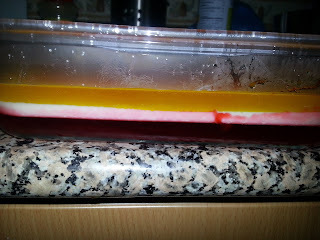 Never pour hot gelatin on top of a firm layer as it will melt. 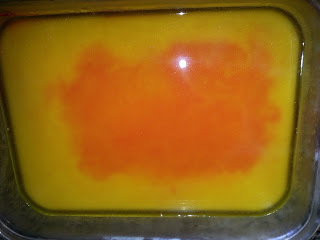 See the red still showing through the yellow layer. 19. Repeat the steps with color and flavor of choice sandwiched between white creamy layers. 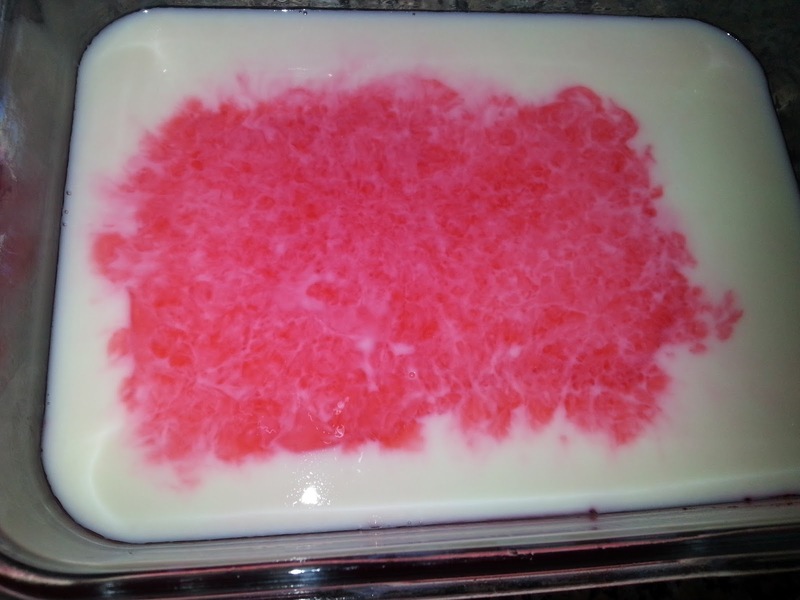 You can even omit the white layer and make just colors. 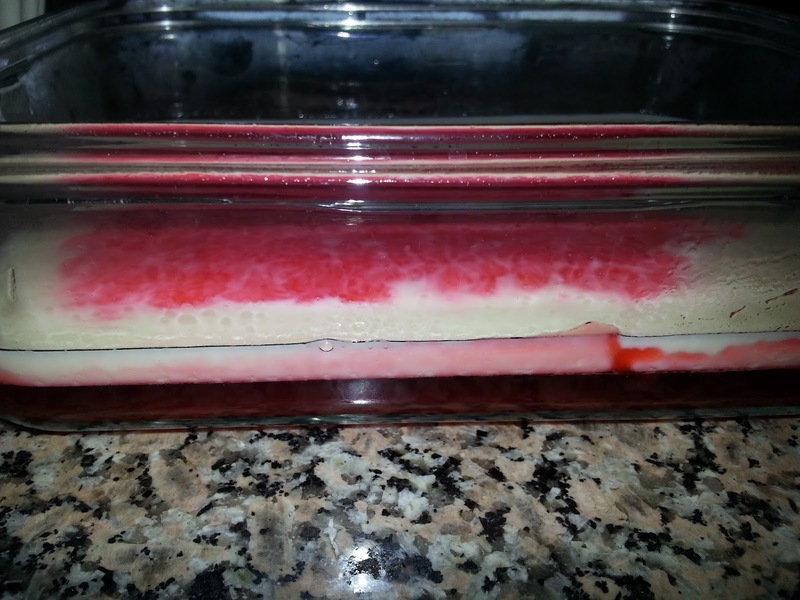 i made strawberry-creamy-pineapple-creamy-lime layers. 20. 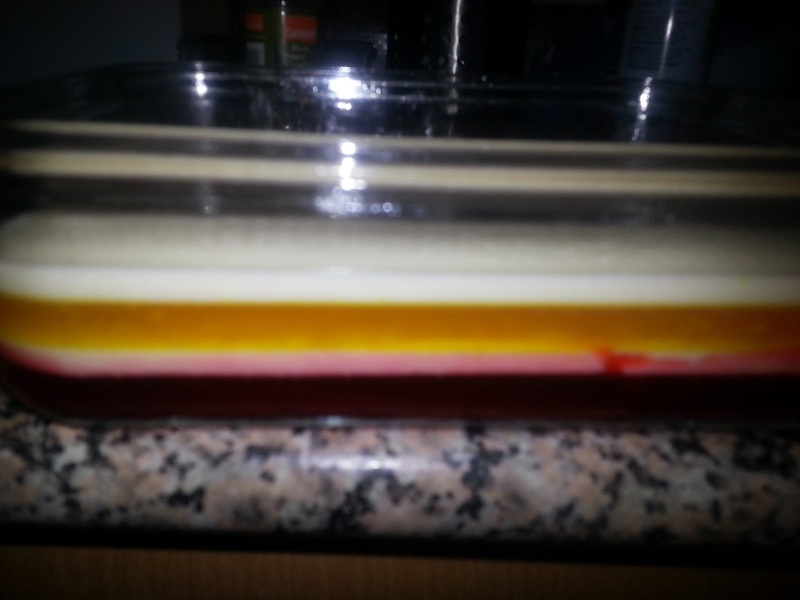 Once you complete all the layers let it chill and set completely in the fridge for 2-3 hours until firm. 21. Cut into bite sized pieces and place it back in the fridge. You can use the leftover white condensed milk mixture to set it in a separate tray or box as is or mix some fruits. It sets beautifully and tastes great. I did both. 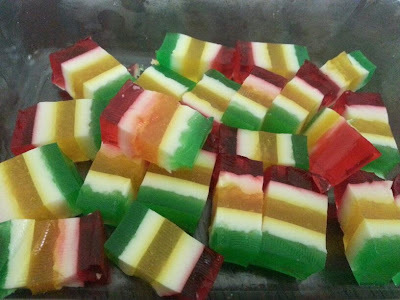 Halal gelatin is not available in several countries due to which muslims do not prepare several yummy desserts that call for gelatin. The same is the case with vegetarians who do not consume gelatin. You can now prepare those desserts by substituting with agar agar also known as china grass which is vegetarian. 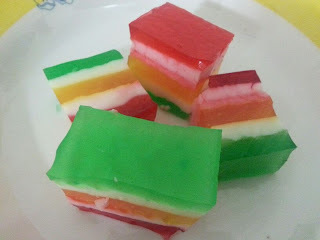 Agar agar is a traditional substitute for gelatin in many recipes and basically it substitutes at a ratio of an equal amount of agar agar for gelatin when substituting like for like (that is powdered for powdered, etc). One tablespoon of powdered agar agar can be used in place of one tablespoon of powdered gelatin. 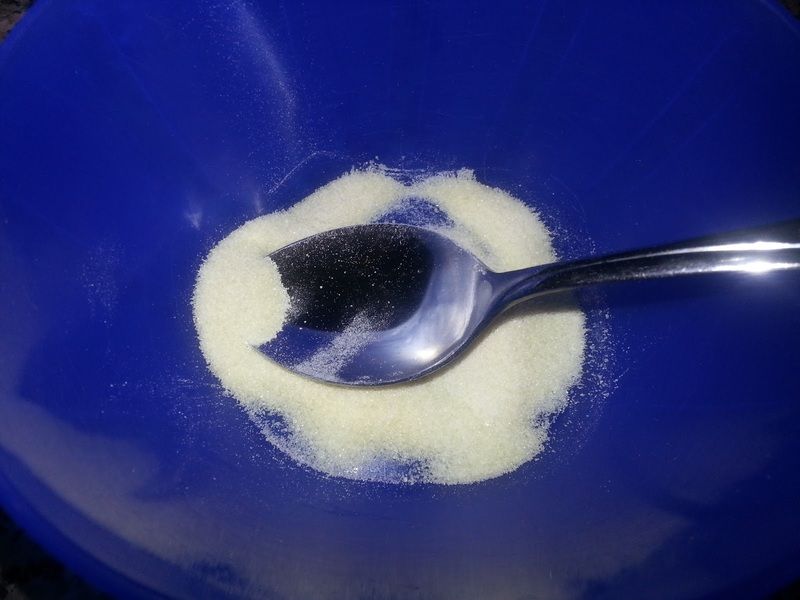 The granulated form of agar agar is twice as strong as the flaked form, while the powdered form is three times as strong. 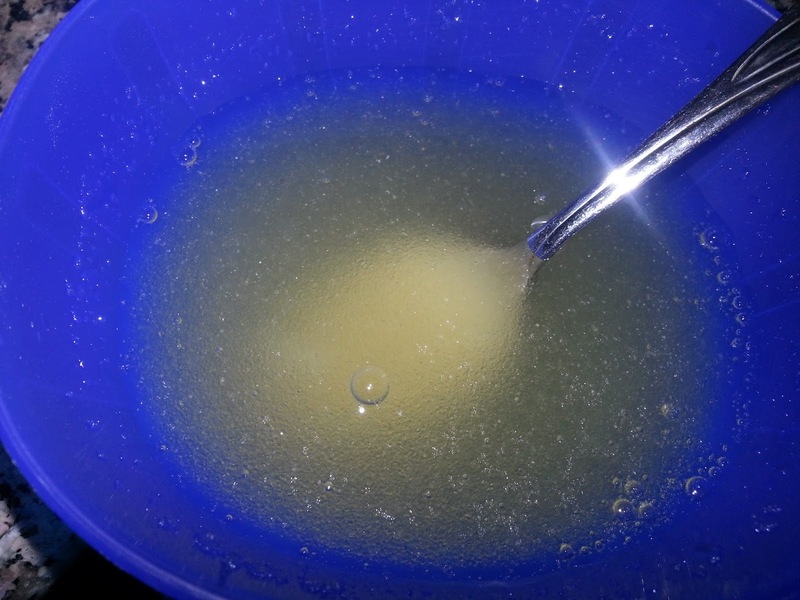 Follow the instructions for activating agar agar with great care. It does not set at the same temperatures as gelatin, hence people tend to assume it doesn't work. However, it does, provided it is handled correctly. For example, agar agar requires a rapid boil and not a mere simmer in order to activate when added to a recipe requiring heating. 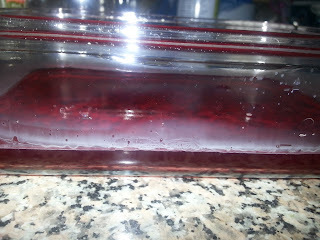 And, agar agar gels at room temperature when gelatin requires chilling. 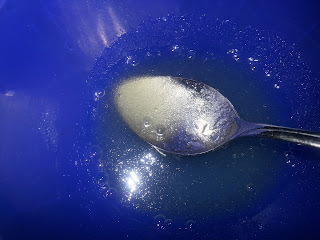 Soak agar agar first for 10 minutes in the liquid it is to be cooked in. This makes it easier to dissolve.